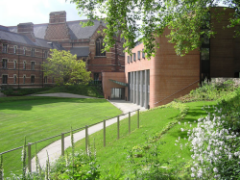 Gym – dubbed the ‘best little gym in Oxford’ – Keble students can use the on-site gym for a small annual membership fee. 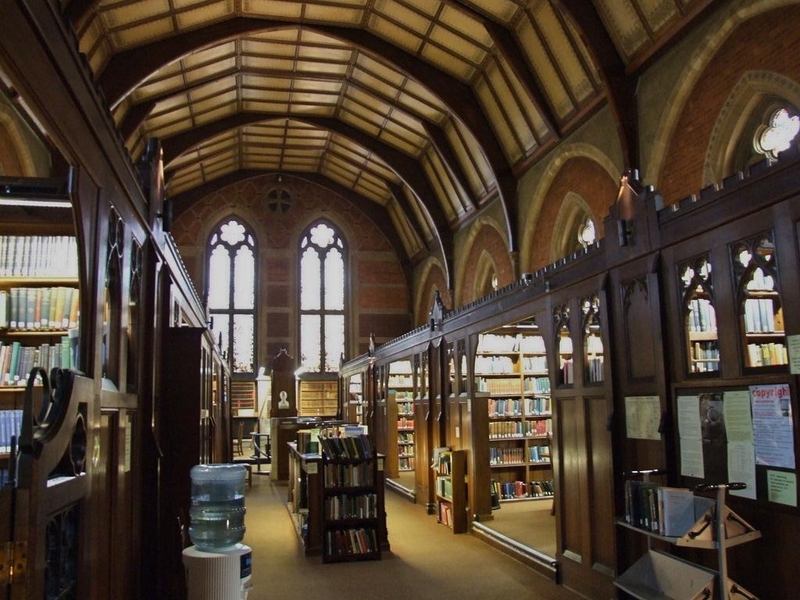 Library – Open 24 hours – something you may be glad of on a badly organised week! 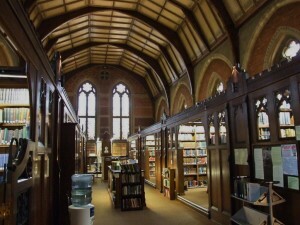 The college has a good geography section, which orders in new books on a regular basis. 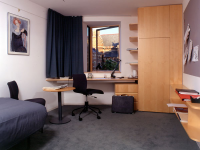 The JCR – The ‘junior common room’ is a comfy place for all keble undergraduates to hang out – with a pool table, table football, sky tv and newspapers. 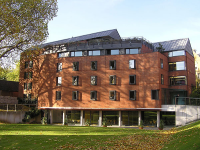 Theatre – Keble is fortunate enough to have the O’Reilly theatre on site, which not only provides facilities for keble drama but draws in university-wide productions, from musicals to stand-up comedy. Cafe – For a latte, coke, or brownie, the café offers a comfortable airy place to sit, work, or chat during term time. It has a selection of paninis, sandwiches & soup. Bar – The infamous space-ship college bar is one of the biggest of all the colleges. There are regular events held, sky television to show all big sports events, special drinks offers, a juke box, darts board, and area for live bands. 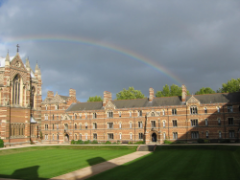 The University Parks neighbouring Keble – Being right next door to the parks has many advantages. Sports teams use the park’s rugby and football pitches, and in summer it’s a great place to go relax or play games!